and the demands to perform are high. others leave their future in someone else’s hands, but not you. circumstances, the seasons, or the wind, but you can change yourself. else’s plan. And guess what they have planned for you? Not much. purse, and soul you want. things we build end up building us. the miracle process all begins. the sharpness, the clarity, and the emotions to affect other people. 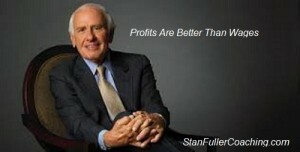 changed my life forever when he said, "Profits are better than wages. Wages will make you a living, Profits can make you a fortune." consequence of consistently applying the basic fundamentals. failure is a few errors in judgement, repeated every day. 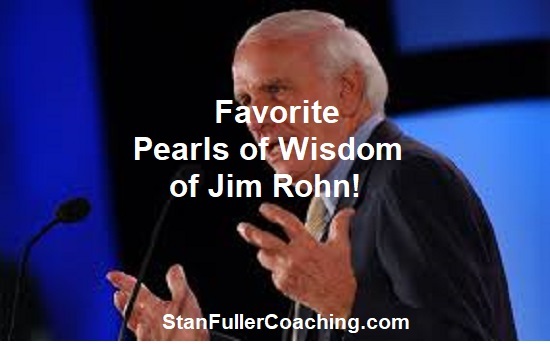 As you may already know Jim Rohn was one of my first Mentors. the world has had the pleasure to experience. I had a very interesting conversation with a prospective student a few weeks ago. He was very excited about the prospect of working with me and having me as his Personal Development Coach. His question and what he wanted to know was what I charged for my coaching sessions. This is how he frayed his question. Mr. Fuller I am really into personal development, and I would really like for you to coach me. However this really sounds expensive, how much will it cost me for your coaching services. My response to him was it won’t cost you a single penny. The first thing I need you to do is to change your mindset. You need to look at it as an investment, not as a cost. 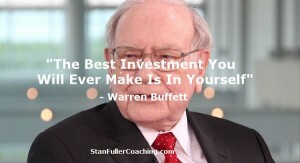 When you invest in your personal development you are investing in you. Improving yourself should never be viewed as a cost: rather it’s an investment. Let’s take it a little further: One of my all-time mentors the late Jim Rohn, “Learn to work harder on yourself than you do on your job. I don’t know about you, but making a fortune beats, just making a living every day of the week. If you enjoy receiving amazing service and products that provide amazing value Watch the Video Below HERE Watch This Powerful Video Now! You know it is a bit difficult to get rich on wages, but anybody can get rich on profits. Profits change your whole attitude, even if you start part-time. Whether it's part-time on your entrepreneurial business, network marketing company or service business. It can be a landscape business in the summer or hanging Christmas lights in the winter. It can be training, consulting or tutoring. It can be your hobby such as painting, writing, crafts, woodworking, computers or cooking. But once you start investing even part time effort into your own business, you will find how much more exciting it is to get up in the morning and go to work on your fortune, even if you're only spending a few hours a week doing it. How empowering it is to be able to go to work on your fortune every day rather than going to work to pay the rent. Now - it is noble to go to work to pay the rent, but if you could also parcel out part of your time - go to work to make your fortune. Your whole attitude changes; your spirit changes. It is in your voice. It is in your face. It is in your gestures. And then you can say, "I am now working full-time on my job and part-time on my fortune because I found a way to make profits." Wow! 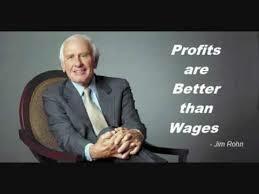 If you are ready to prove to yourself that Profits are Better than Wages. UNLIMITED 3 DAY / 2 NIGHT VACATIONS!